WordPress is the most popular CMS on the market, period. 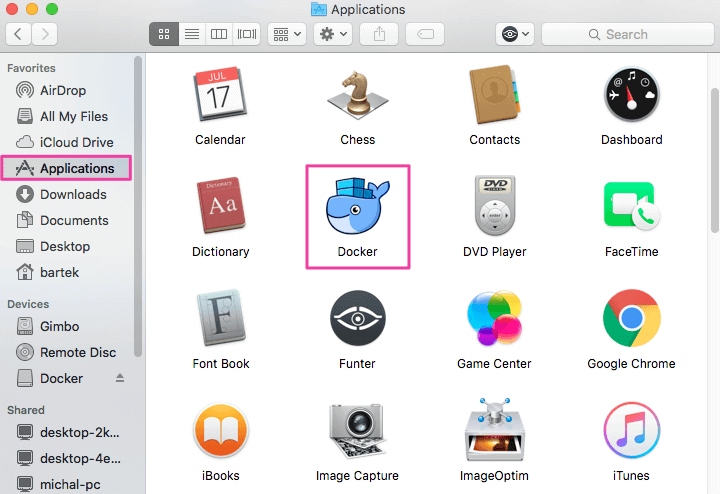 On the other hand, Docker is the trendiest techs since the first iPhone. In this guide we’re going to show you how to run your WordPress site in a Docker container and what are the benefits for any WP developer. To put it simply, Docker is a type of virtualization which is faster and lighter than other VMs thanks to a different attitude to the infrastructure. If we compare it to a standard VM that can take even a few minutes to get started, Docker can be launched in just a few seconds. 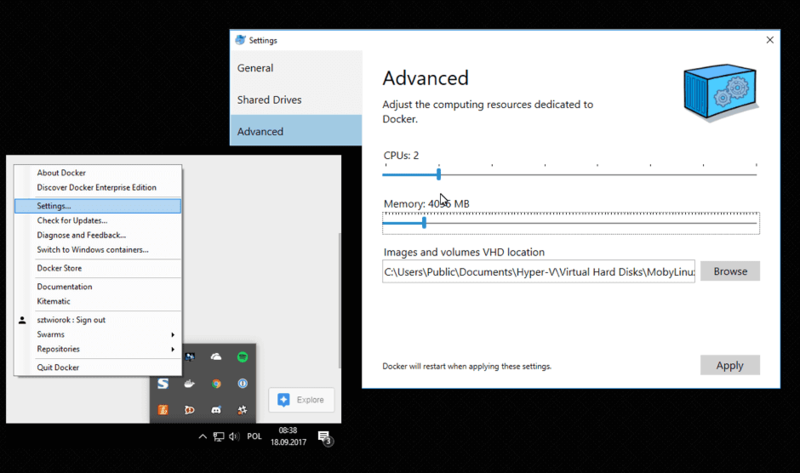 What’s more, you can easily run dozens of Docker containers on a single PC which could otherwise launch no more than 5 VMs. No matter if it’s a dev PC, Stage server or LIVE server and what OS it is, Docker works the same everywhere. This means you won’t have to look for bugs that, say, appear on the LIVE server and cannot be reproduced locally. 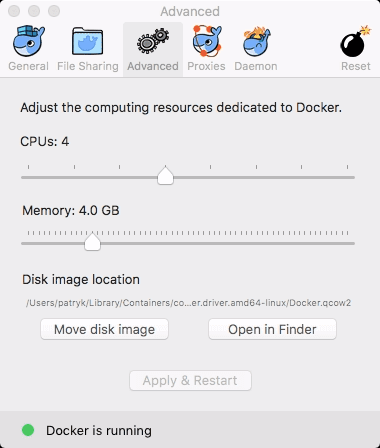 If you already dockerize your apps, you can learn how to automate Docker deliveries in the second guide in the series. Check if everything works properly by running docker info in your terminal. The application will be run in a Docker Container (an equivalent of a VM). The Docker container is launched on the basis of a Docker image built on the basis of a Dockerfile. The first thing we need to do is to define how our image will look like in a Dockerfile. It is a text file that is added to the directory with the sources of your application. FROM - to build the application, use the official WP image "FROM wordpress:php7.1-apache"
Below you’ll see how the Dockerfile will look depending on the contents of your repo. If your repository contains plug-ins and themes, but lacks the WP Engine, you must use the Dockerfile to upload them to the proper location. docker build -t 'wp-image' . The command will build an image named wp-image in the context of your repository (the . at the end). The first execution will take a while since the official WordPress image needs to be downloaded to your disk. Next builds will be much faster. The first command starts a MySQL Docker container in version 5.7 named mysql-cont. It is running in the background (-d flag). We are also passing MYSQL_ROOT_PASSWORD environmental variable which defines the root password for MySQL server. The second command starts a container based on the image that we build (wp-image). The container is named wp-cont, runs in the background (-d) and has port 8000 mapped from the host to port 80. This means that if you go to 127.0.0.1:8000 in your browser, you will be redirected to the Apache server in the container, listening on port 80. Another option which we use is --link. It means that the MySQL container is visible inside the wp-cont container through a MySQL alias. 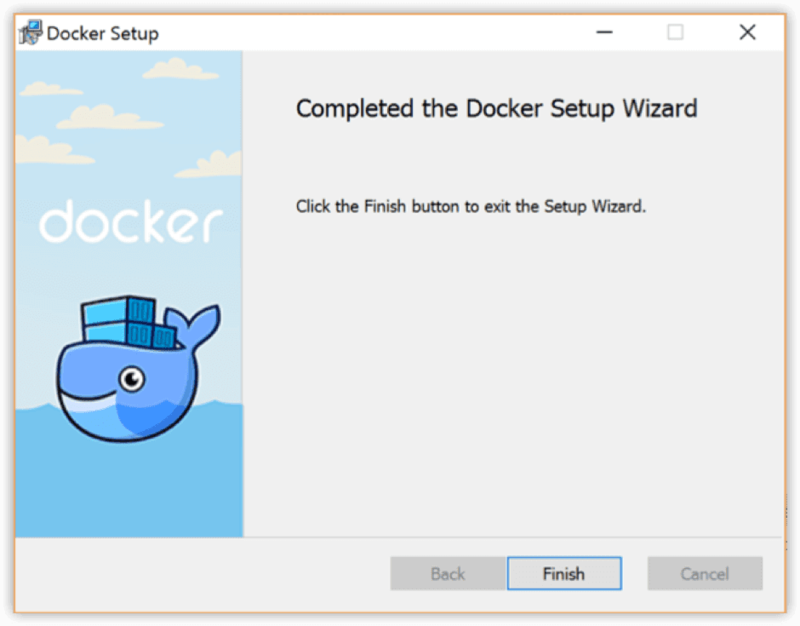 You can simplify these steps using Docker Composer, a tool for defining and running multi-container Docker applications. As a result, the WordPress base image automatically takes care of the linked MySQL service and configures WP database access. Data in the containers is not permanent. This means that if you stop the container and run it again, there will no longer be any data inside. It’s not very convenient as you have to initiate your WordPress every time. Docker will create a volume for you in the /var/lib/docker/volumes folder. This volume will persist as long as you don’t type docker-compose down -v.
How to ship a WordPress image to the Production server? Once you have your image built locally, a tempting question arises: can I do all of these on the Production server? The answer is simple: no. The only thing that you could do on the Production server is to run images built on other servers/PC’s. Here’s how. Sign up to Docker Hub if you haven’t done it already. docker build -t my-docker-hub-username/my-image . Hope you enjoyed reading this guide. We really tried to keep things as simple as possible. In the next parts we’re going to show you how to automate WordPress delivery with Docker and Buddy, and, ultimately, how to run WordPress in Kubernetes and automate the whole operation with your beloved CI/CD software. Dockerize WordPress and make it run on any computer and OS with one click.